Tom Fiedler began his tenure as Dean of the College of Communication on June 1, 2008, following a distinguished career in journalism. After graduating from the U.S. Merchant Marine Academy with a bachelor’s in engineering, he earned a master’s in journalism at COM. Later, he joined the Miami Herald, where he would work for more than 30 years, as an investigative reporter, a political columnist, the editorial page editor, and finally, the executive editor, from 2001 to 2007. In 1988, Fiedler received the Society of Professional Journalists’ top award for coverage of that year’s presidential campaign highlighted by his reporting on Gary Hart’s campaign-killing affair with a Miami model. As the newspaper’s executive editor, Fiedler was a stickler for journalism ethics, particularly after reporters working for the Herald’s Spanish-language sister publication, El Nuevo Herald, were found to be on the payroll of a U.S. government–owned anti-Castro news service in 2006. Fiedler also pushed his reporters and editors to embrace the Internet as a critical means of news delivery, rather than as just an appendage of the newspaper. He has also embraced new media as a Visiting Murrow Lecturer and Goldsmith Fellow at Harvard University’s Shorenstein Center on the Press, Politics, and Public Policy, where he investigated the impact of the Web on the presidential primary system and taught a graduate course on the intersection of media, politics and public policy. In addition, Fiedler co-directed a project, sponsored by the Carnegie Corporation and the Knight Foundation, exploring the future of journalism education. 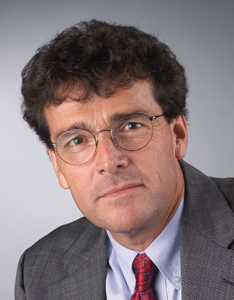 In 2003, Fiedler received a COM Distinguished Alumni Award, and in 2005, the college presented him with the Hugo Shong Lifetime Achievement Award in Journalism. In 2006, he was elected a member of BU’s Board of Overseers.